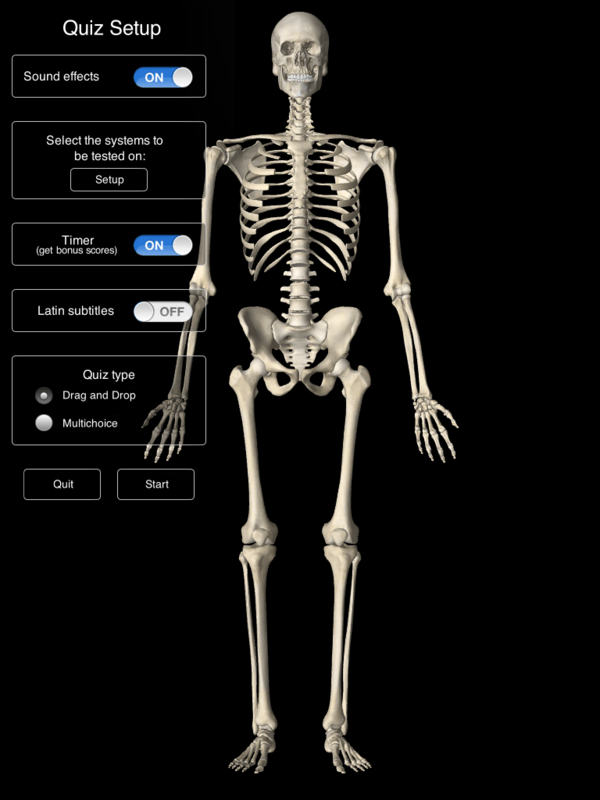 Essential Skeleton is a FREE app that takes you inside the body to explore the human skeletal system. 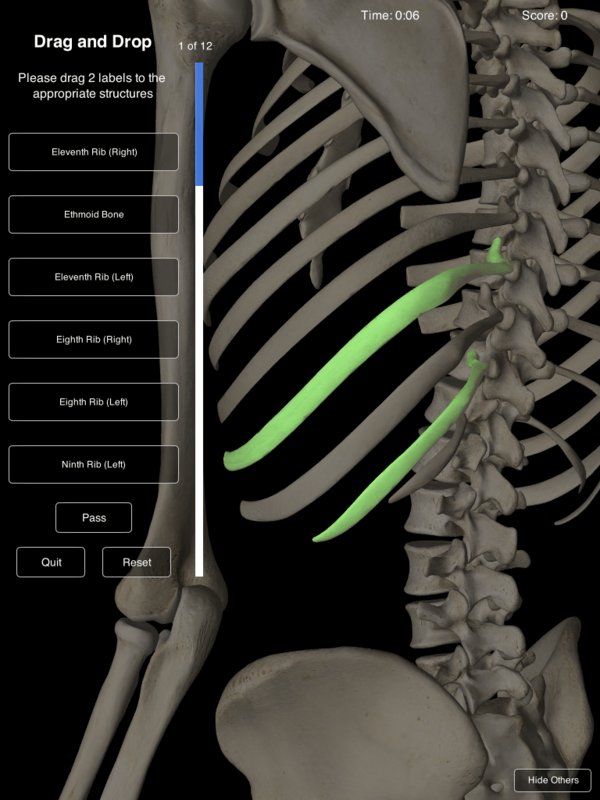 This app is simply the best FREE app for studying the bones in the human body. What I really like about this app, is that the first time you open it, a tutorial video is available to view so that you know exactly how to navigate around the app. 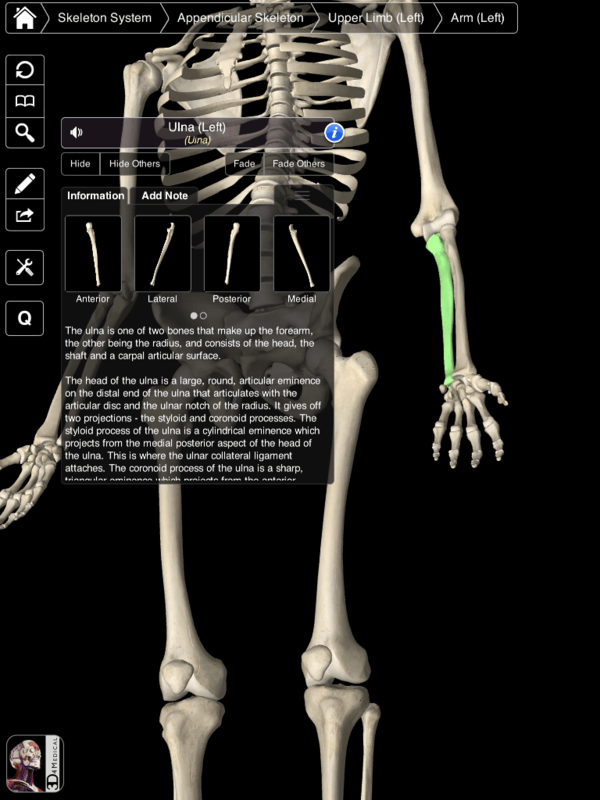 By tapping on a certain bone you will find the name, different views of the bone, audio pronunciation, and students can even add notes and/or annotate over the top of each bone. I think this app could be great for elementary to high school science classrooms. Another great feature to this awesome science app is that students can take a quiz. The quiz allows students to practice their knowledge of the human skeleton by customizing the quiz the way they perfer to study. Click on each image to view full size!